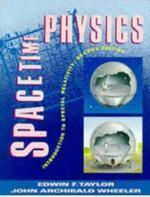 Collaboration on the First Edition of Spacetime Physics began in the mid-1960s when Edwin Taylor took a junior faculty sabbatical at Princeton University where John Wheeler was a professor. The resulting text emphasized the unity of spacetime and those quantities (such as proper time, proper distance, mass) that are invariant, the same for all observers, rather than those quantities (such as space and time separations) that are relative, different for different observers. The book has become a standard introduction to relativity.The Second Edition of Spacetime Physics embodies what the authors have learned during an additional quarter century of teaching and research. They have updated the text to reflect the immense strides in physics during the same period and modernized and increased the number of exercises, for which the First Edition was famous. Enrichment boxes provide expanded coverage of intriguing topics. 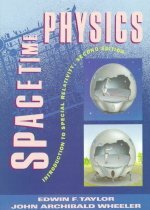 An enlarged final chapter on general relativity includes new material on gravity waves, black holes, and cosmology.The Second Edition of Spacetime Physics provides a new generation of readers with a deep and simple overview of the principles of relativity.Written by two of the field's true pioneers, Spacetime Physics&#160;can extend and enhance coverage of specialty relativity in the classroom.&#160;This thoroughly up-to-date, highly accessible overview&#160;covers microgravity, collider accelerators, satellite probes, neutron detectors, radioastronomy, and pulsars.&#160; The chapter on general relativity with new material on gravity waves, black holes, and cosmology.